More Moto phones are on the way. 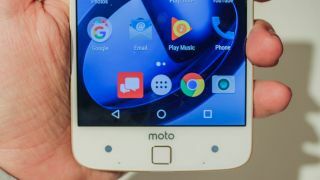 When Lenovo showed off the Moto Z to the world it didn't make any reference to its predecessor the Moto X or a lower-specced Play edition - but if leaked benchmarks are to be believed then we're not finished yet with Moto phones for 2016. Last year we got the Moto X Play as a mid-range alternative to the high-end Moto X, and stats logged by GeekBench hint that there is indeed an unknown, less powerful Motorola handset on the cards. It comes with 3GB of RAM and matches up with a few rumours we heard in the run-up to the unveiling of the Moto Z. Company representatives have been insisting the Moto X is "alive and well" in the Moto Z era and another set of benchmarks hint that the name could be repurposed to fit a smaller, more modest handset in the future. It's also possible that Lenovo could focus on this handset in developing countries. None of which proves we'll be getting a Moto Z Play or Moto X anytime soon, but it does appear that some unknown Moto-branded handsets have reached the testing phase and could be imminent. Of course we'll let you know as soon as there's anything official. Finally, some encouraging news for those of you waiting for a camera MotoMod for the Moto Z. Professional camera firm Hasselblad has just sent out invites for a press event on 22 June, and the teaser image they've provided looks a lot like a Moto Z add-on. A dedicated camera MotoMod would certainly make sense (the LG G5 has got one) and we'll know for sure next week. Indeed, such a Mod made by Hasselblad was rumoured in the run-up to the Moto Z launch, so perhaps it just wasn't ready on schedule.